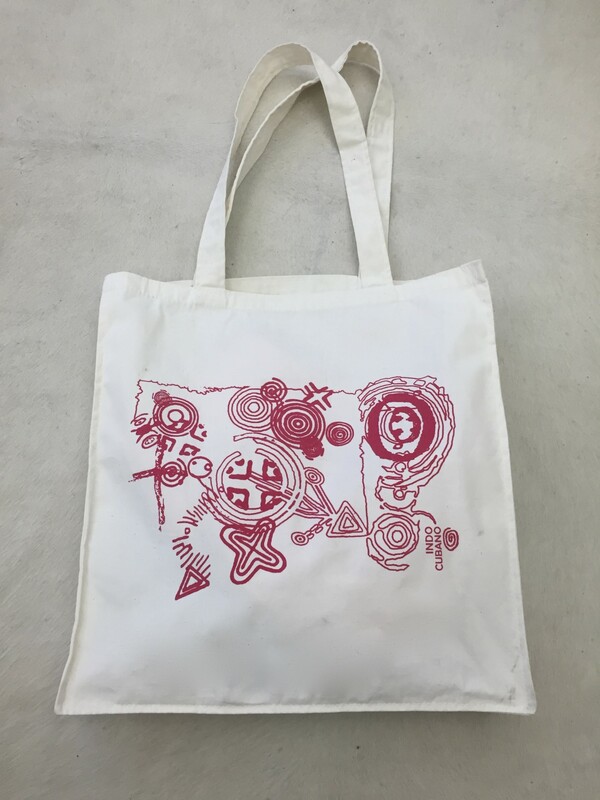 Canvas IndoCubano Tote Bag #423A. 16" x 15" with 3.5" gusset. Top to bottom with handles 27"